Our office is in the Germantown Court business complex at the South East Corner of the intersection of Walnut Grove Rd. and Germantown Parkway. We are in the 4 story building that faces Germantown Parkway and has the “University of Phoenix” sign at the top of the building. 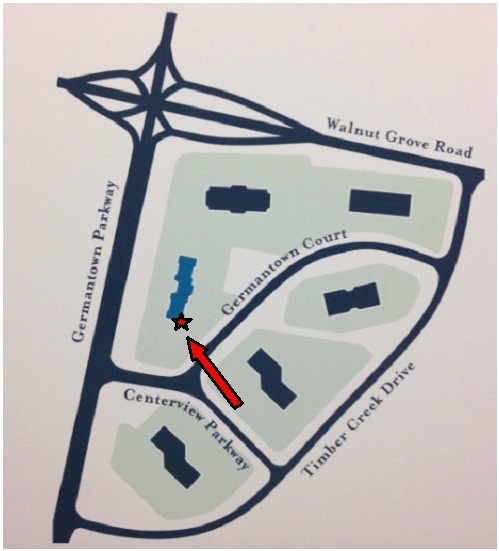 The business complex can be accessed from either direction on Germantown Pkwy, or from Timber Creek Drive (see the map below). The business park is located directly across Germantown Pkwy from the AgriCenter rodeo arena. Once you enter the building, take the main elevator to the 2nd floor, turn left, we are the last office on the left: Suite 205.